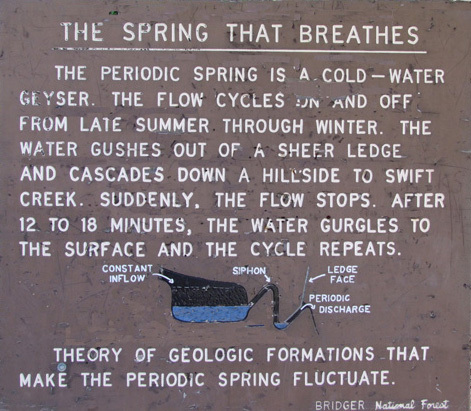 The Periodic Spring is the largest cold water intermittent springs in the world. 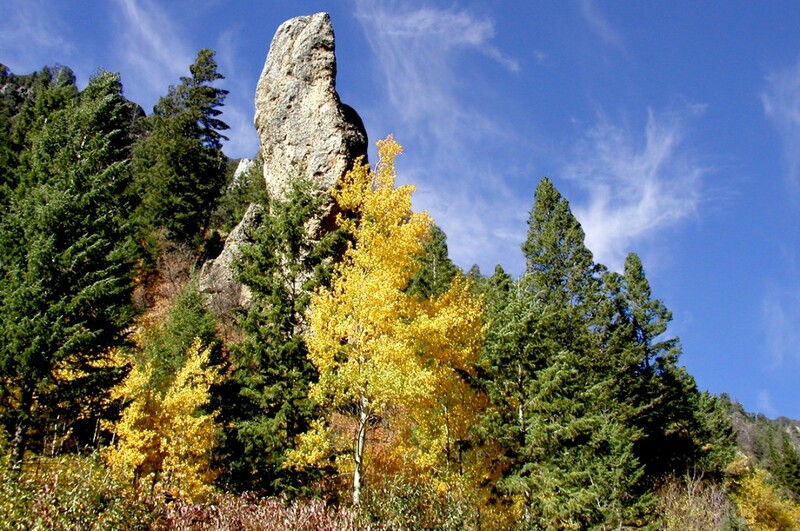 This rare geological feature is located five miles east of Afton, Wyoming, in Swift Creek Canyon. Because of its location, I seriously doubt if a Mountain Man, or an Indian, ever saw the Periodic Spring, as is often claimed. As with any discovery of this magnitude, there is always lots of stories about how, when, and who discovered the intermittent spring. The most logical one is from Edwin Cazier who wrote, All Was Grist To His Mill. Edwin Cazier grew up with Bruce Gardner and his brothers, and in the book, he chronicles the story of Bruce Gardner’s discovery of “The Spring That Breaths”. 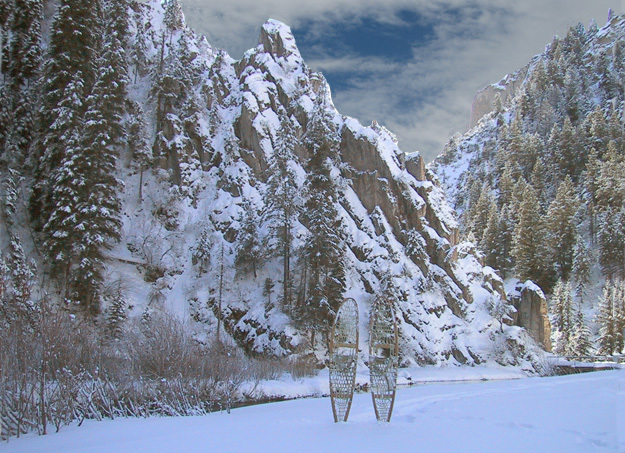 Bruce, Frank, and Clarence Gardner were logging in Swift Creek Canyon. 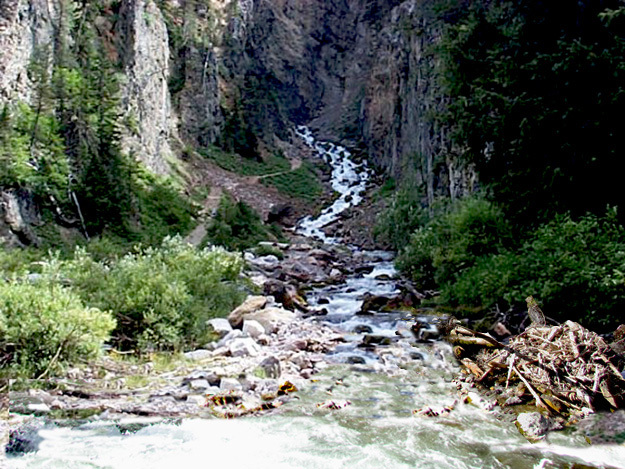 It was August, 1894, and they had been coming into the canyon since June. 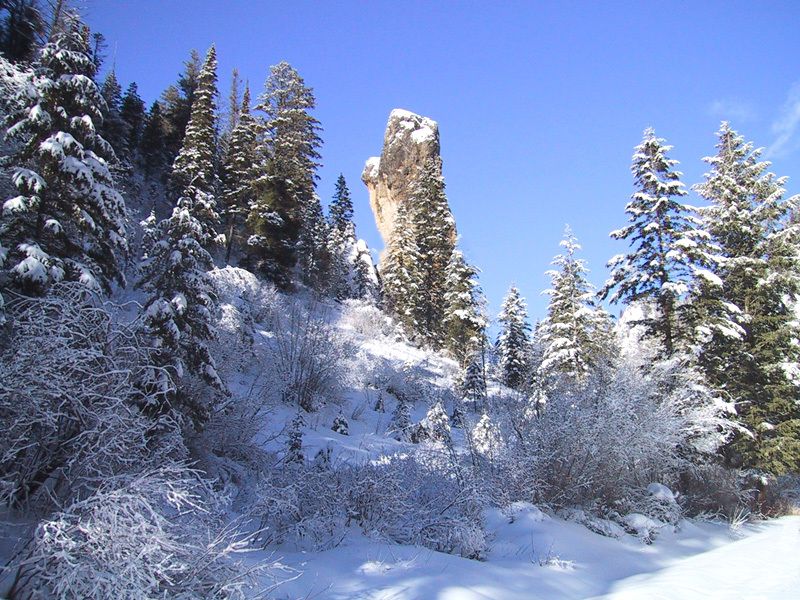 The three men had about twelve thousand board feet of red pine (Douglas Fir) cut into sixteen-foot logs, and between thirty-five and forty thousand board feet of Spruce cut into ten-foot logs. The logs would be floated down Swift Creek to the Gardner sawmill the next spring. 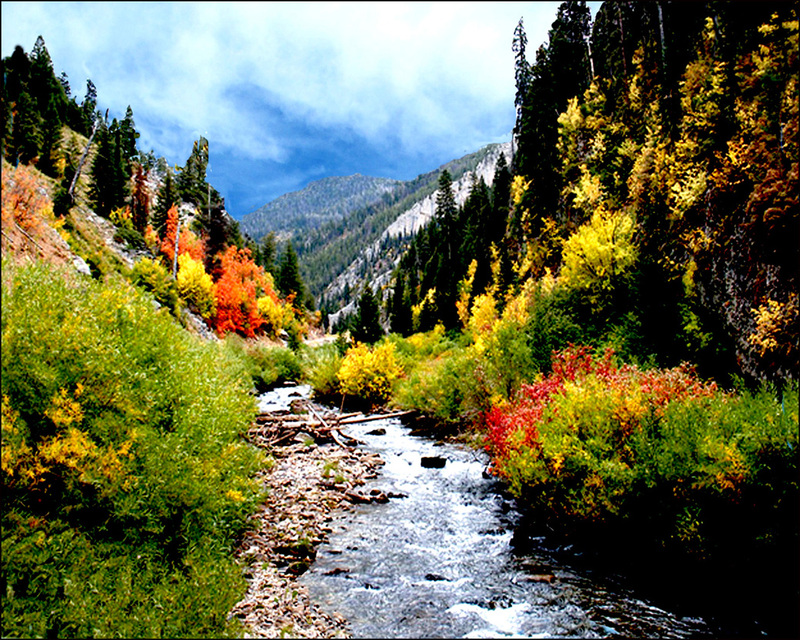 Frank and Clarence had left with the horses to go over a low divide into Dry Creek and then on to Afton. 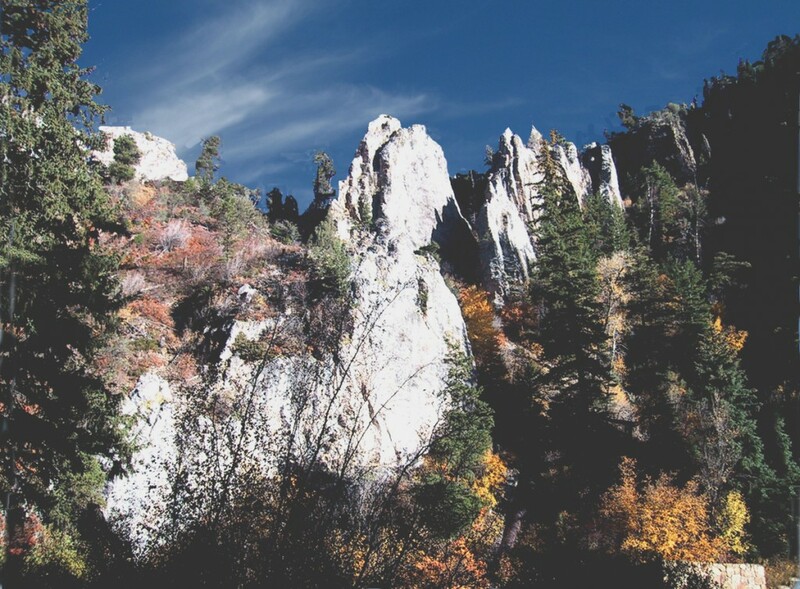 The logs were ricked four to six miles above the mouth of Swift Creek, but to get horses on Swift Creek, they had to use a fifteen mile trail over Dry Creek Canyon. 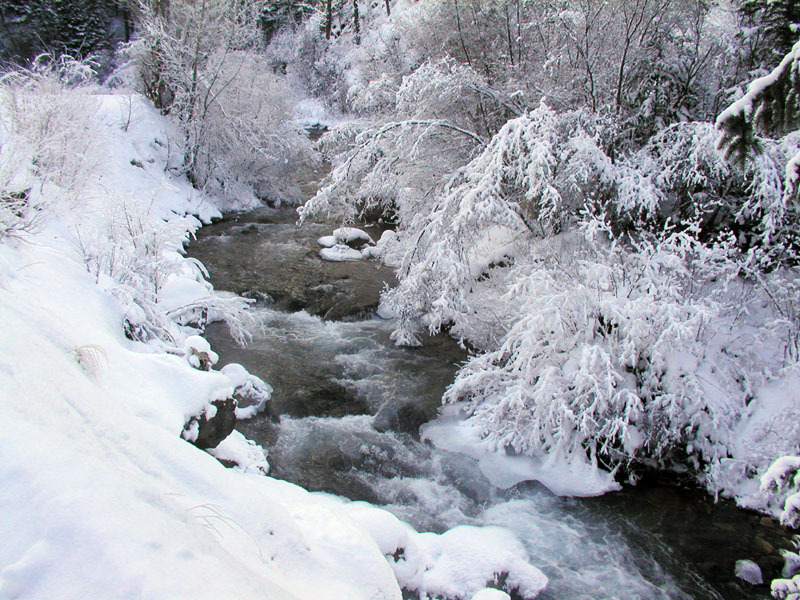 Bruce planned to work his way down Swift Creek to check for anything that would prevent floating the logs out during the next spring runoff and to watch for a way to cut a horse trail up the steep narrow-ledged Swift Creek Canyon. 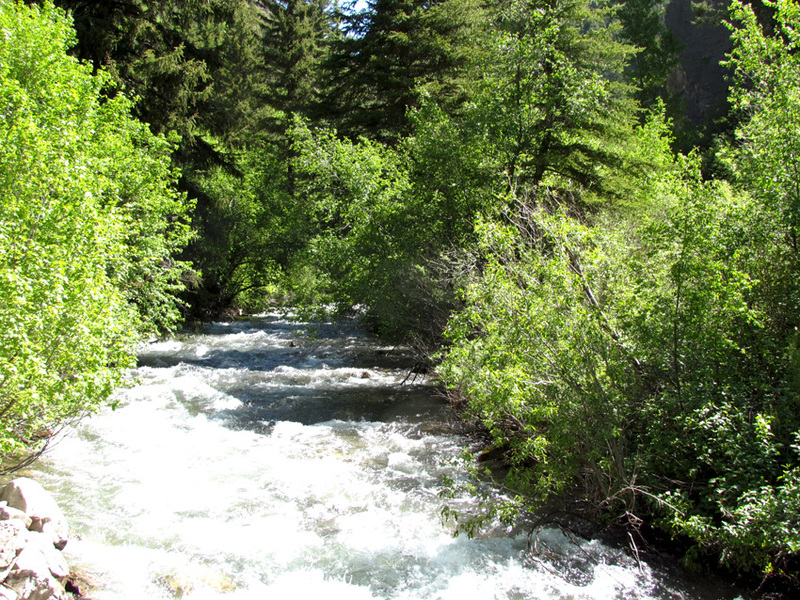 Bruce was sitting on the bank of Swift Creek across from a deep ravine with a good sized stream of water flowing into Swift Creek. Thinking of his bride to be, he was suddenly aware it had become quieter. Raising his eyes to the spring level, he was stunned to see the big spring was no longer running water. His first thought was a spring that big did not suddenly go dry in midsummer. 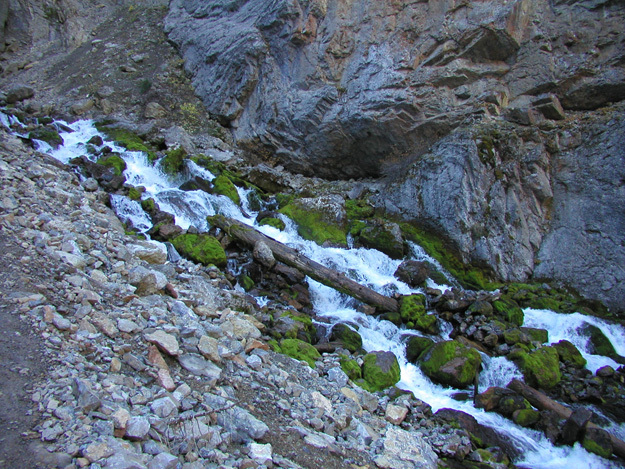 While he was deciding whether or not to go up to the head of the spring, he saw water was starting to come down the narrow canyon again. 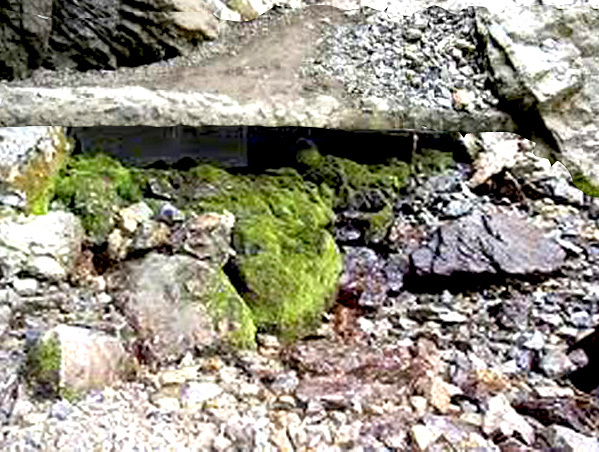 Bruce reached the head of the spring just as gurgling water retreated into an underground cavern…the Periodic Spring provides part of the water for the town of Afton, and a cement top was placed over the mouth of the spring to prevent rocks and debris from falling into the spring. 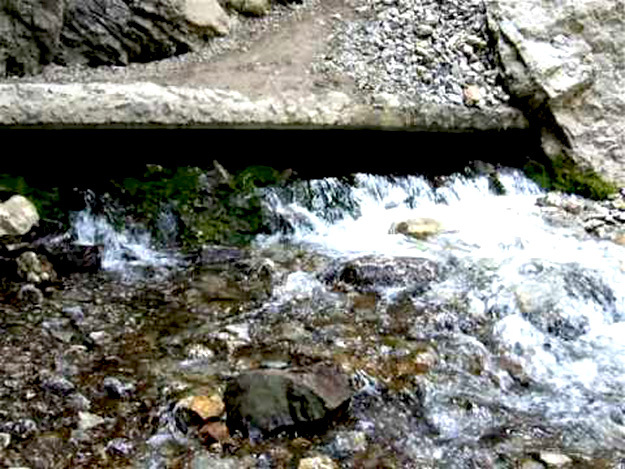 As groundwater flows continuously into a cavern, it fills a narrow tube that leads out. As it pours over the high point of the tube, it creates a siphon effect, sucking water out of the chamber. Eventually air rushes in and breaks the siphon. Dr. Solomon’s theory is supported by the water’s gas content which suggests the water was exposed to underground air. The Periodic Spring fluctuates on a twelve to twenty minute period with a gradual shutting down and building up. The Periodic Spring usually starts to fluctuates in late July, but this is variable…this year it was late August. 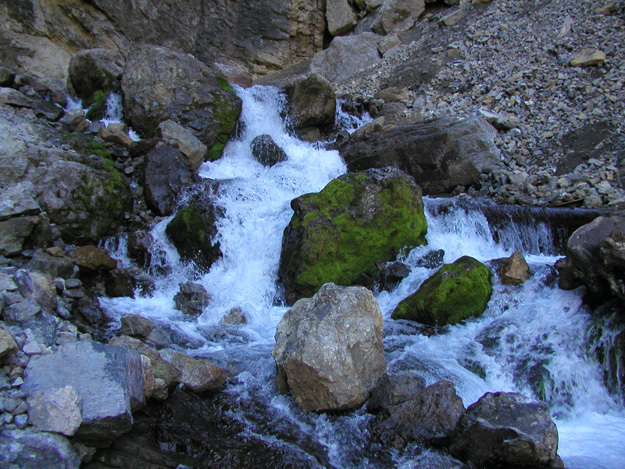 The water from the Periodic Spring flows a quarter of a mile down the narrow-walled canyon into Swift Creek. 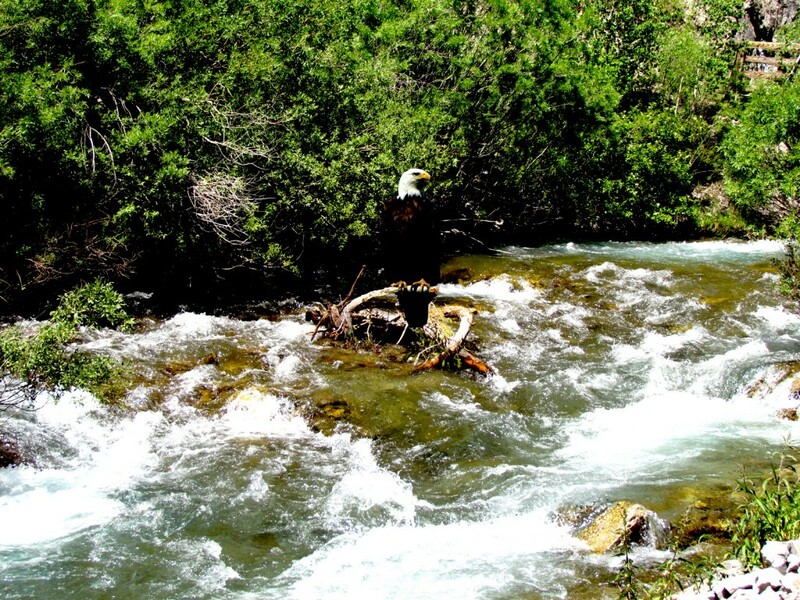 At full flow, the Periodic Spring discharges about 285 gallons per second. Turn east off of Highway 89 on Second Avenue which is two and a half blocks north of the Elkhorn Arch in Afton, Wyoming. The first mile is paved, but the next four miles is a dirt road. 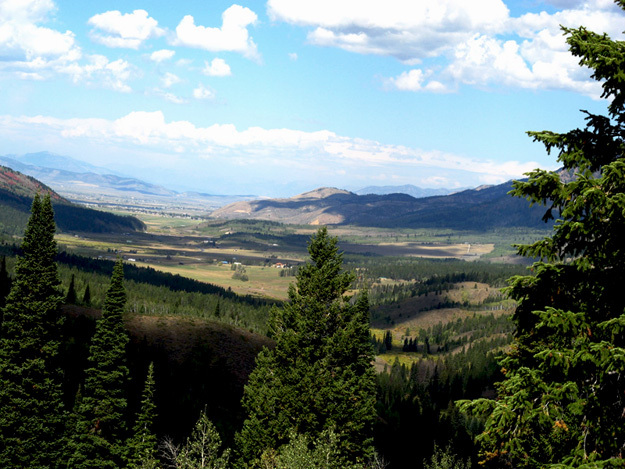 The road ends in a parking area with two picnic tables and a forest service toilet (N 42° 44′ 23.7″ W110° 51′ 30″). From the parking area, there is an old road to where the Periodic Spring flows into Swift Creek. The last quarter mile of the trail is steeper and can be very slick in places. 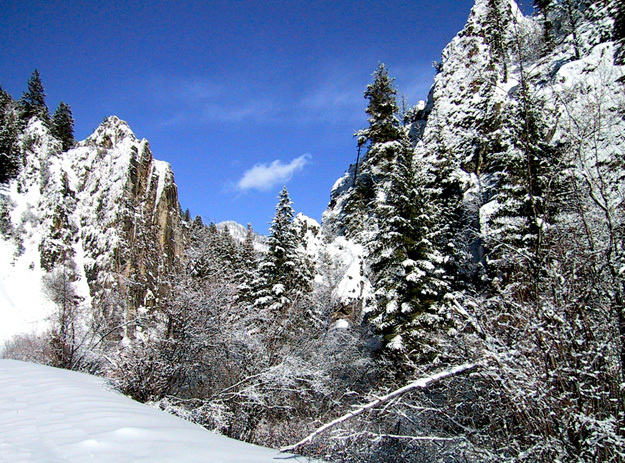 The road up Swift Creek Canyon is one of the most spectacular four-mile drives in North America (road closed from December 1st to May 1st). 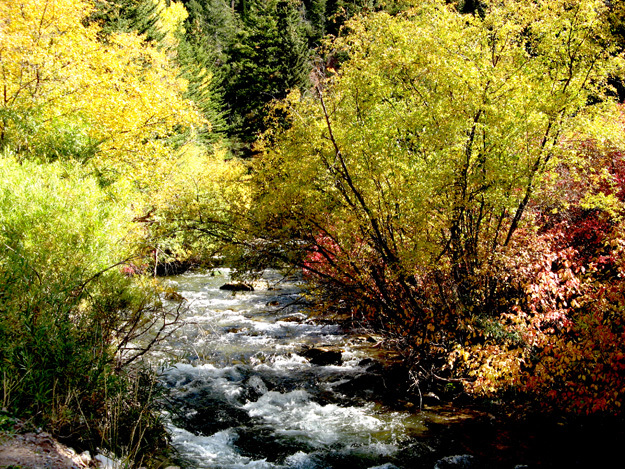 Swift Creek Canyon is beautiful year around, but is awe-inspiring in the fall or with the right conditions at night. 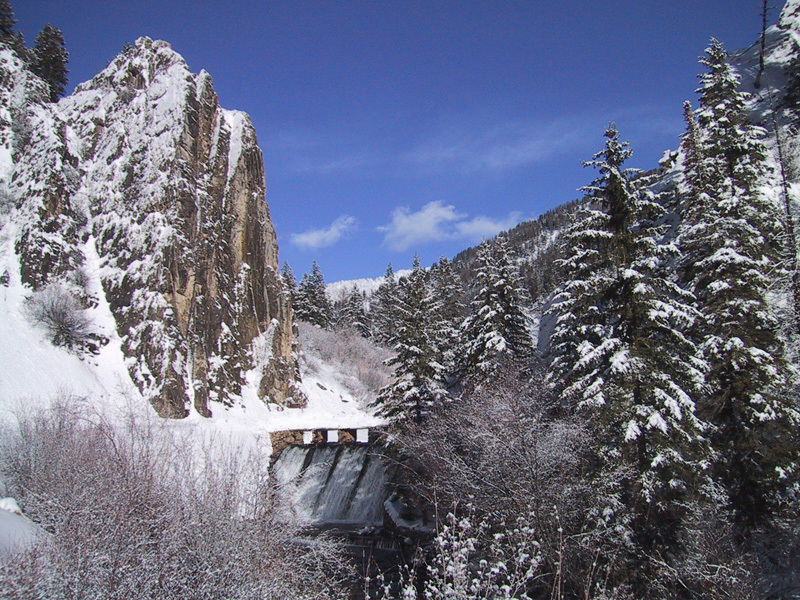 And even on snowshoes in the winter…Warning check on avalanche conditions before snowshoeing in Swift Creek Canyon. 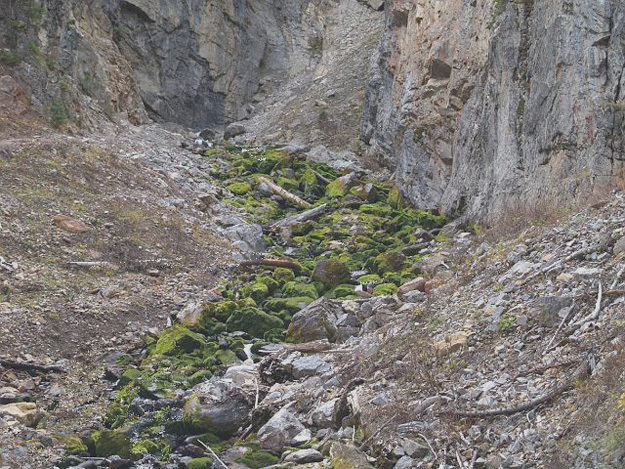 The Periodic Spring article and pictures of Swift Creek Canyon were taken and written by Ned Eddins of Afton, Wyoming. Citation: Eddins, Ned. (article name) Thefurtrapper.com. Afton, Wyoming. 2012. To return to the Western Expansion home page click on Wagon Train logo. Cazier, S. Edwin. 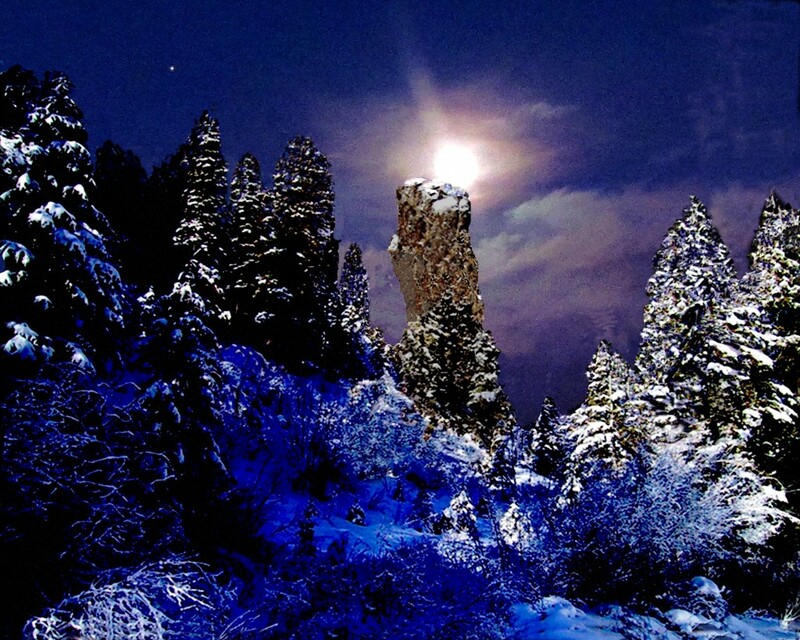 Memories From Star Valley, Wyoming. The Last Saddle Horse Ranger. Footprints Of Progress. All Was Grist To His Mill. Star Valley Library, Afton, Wyoming. 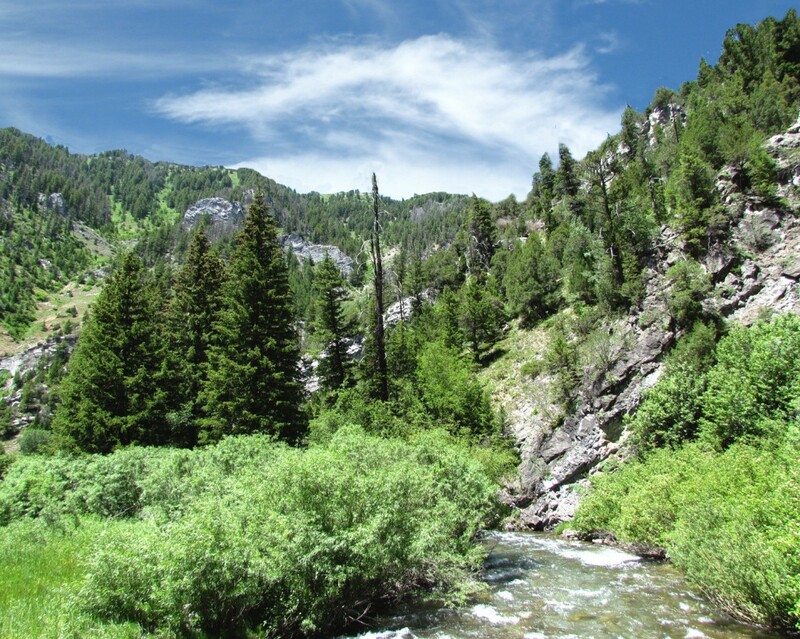 Warren, Allred – The Intermittent Spring, Star Valley Communities. Star Valley Independent. 1954.